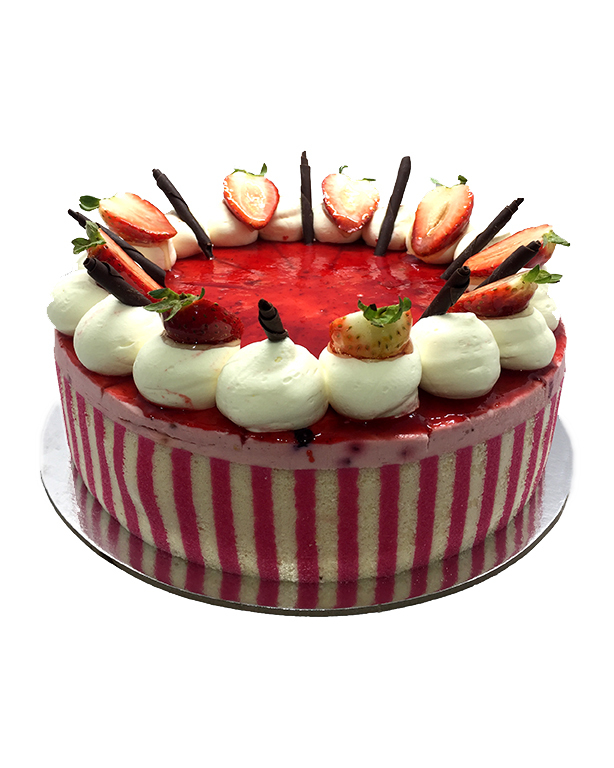 A compote made from wildberries is folded under a delicate vanilla custard and mixed with fresh cream to form a tantilizing mousse that is layered in between vanilla sponge and decorated with a strawberry glaze. Currently we only accept eft and cash on pickup. As our cakes our custom made to order specialty items we can not offer refunds. 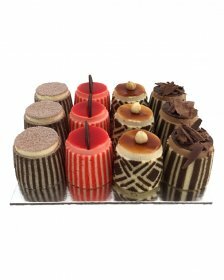 As a Boutique Patisserie we are not able to offer deliveries. However for large orders delivery can be organised at a cost. Please note that all online orders are picked up in-store only. © 1987 - 2019 Patisserie Royale. All rights reserved.